Juba, South Sudan: March 20, 2019 –Leading energy conglomerate, Sahara Group has reaffirmed its commitment to inspiring and empowering future technology entrepreneurs to lead the drive towards sustainable development and economic prosperity in South Sudan. Working through the Sahara Foundation, Sahara Group has renovated and upgraded the University of Juba Computer Center in South Sudan, a facility that plays a critical role in Information Communication Technology training in South Sudan, the world’s youngest democracy. 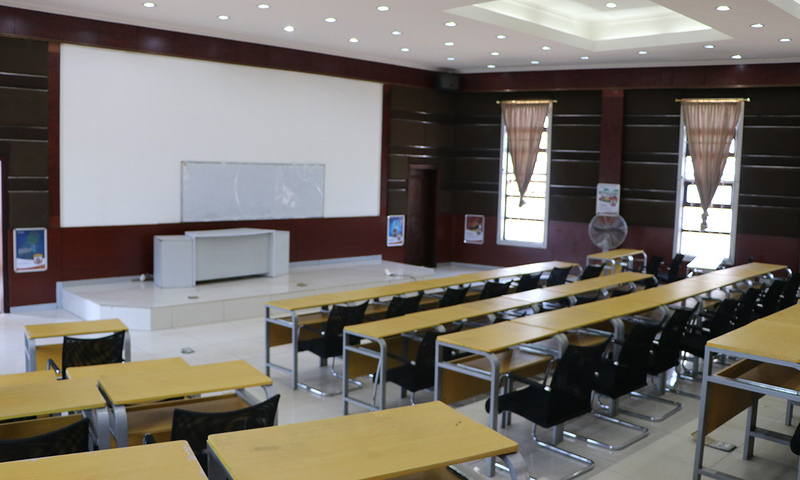 Following the intervention, the center now boasts a better learning ambience, brand new computers, central UPS and server, air conditioners, roof mounted projector and furniture. “The facility will help the 10,000 undergraduates of the institution in designing solutions that will accelerate the growth of their nation and their own careers. We also believe the facility will provide an avenue for young people both within and outside the university community to acquire technology based skills in a country where access to information communication technology is below 30 percent of the population,” said Bethel Obioma, Head, Corporate Communications at Sahara Group. Founded in 1975, the University of Juba is the oldest university in South Sudan and has a vision to become a dynamic regional and world-class center of excellence in teaching, research, innovation, and service to community by 2030. Oluseyi Ojurongbe, Manager, Sahara Foundation, said there are ongoing stakeholder engagements to explore other interventions in line with Sahara Group’s commitment to spearheading the achievement of the Sustainable Development Goals (SDGs) in Africa by 2030. Ojurongbe noted that Sahara had made remarkable progress in its contribution to the SDGs, including goals 1,2,3,4,5,6,7 and 17. Since inception, Sahara Foundation has implemented projects in the areas of health, education, environment and sustainable community development across Africa, Europe and Asia. More than two million people have directly benefited from the projects, with an estimated 75% of them located across the African continent. These interventions include food preservation/security projects, high school leadership/entrepreneurship projects, skills acquisition/career counseling programmes, upgrade of school libraries and sanitary facilities, scholarships for indigent students, free medical outreaches/surgeries, donation of mobile cancer unit and collaboration with several stakeholders to promote the SDGs.